Published by Enhance games and developed by Monstars and Resonair, Tetris Effect is only a month away from its release on November 9, 2018. Experience Tetris like never before with this new take on one of the most popular puzzle games of all time. This alters the formula by allowing players to build up a meter by clearing lines so they can “enter the zone” and freeze time to plan their next move. Digital preorders are now open and come with a few extras, as mentioned on the official PlayStation blog. Pre-order starting today at PlayStation Store and unlock a PlayStation 4 theme, seven avatars, and an original soundtrack sampler! 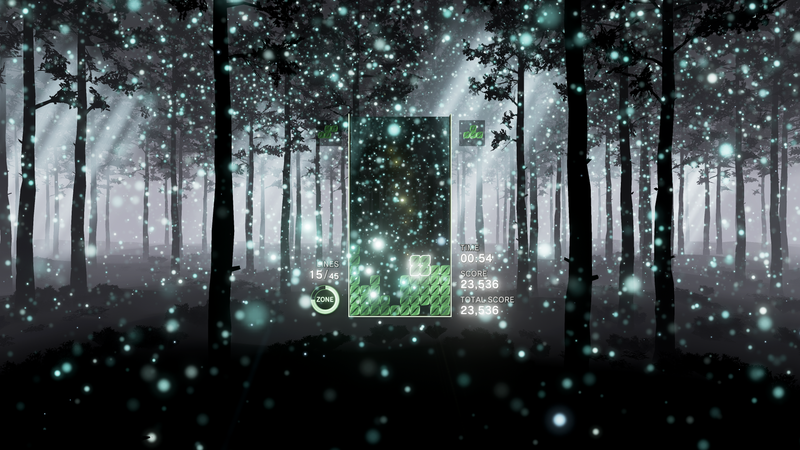 Tetris Effect can be played on a standard display with your PlayStation 4 but those who have the PlayStation VR can take their experience to the next level with an immersive 3D experience. While Tetris Effect puts a twist on the established formula, anyone who has played Tetris before can easily jump into this upcoming title. Just take a look at how smoothly this 1989 Tetris expert manipulates each falling piece. Granted, most of us aren’t quite at that level, but we can try our best when Tetris Effect releases on November 9, 2018 for the PlayStation 4 and PlayStation VR.